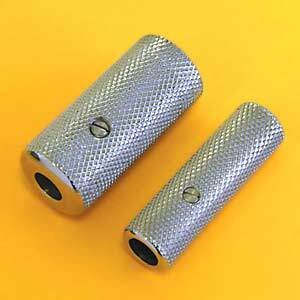 Our stainless steel grips are 1/2" or 3/4" in diameter with heavy knurling. Fits standard size tubes. Attached by one socket head set screw. The 1/2" grip (#3132) uses set screw #1086B. The 3/4" grip (# 3133) uses set screw #3134.